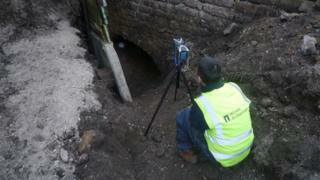 Archaeologists in Derbyshire have found what they believe is the world's oldest railway tunnel. The tunnel lies on the route of the Butterley Gangroad, a horse-operated railway built by 1793 to link the Cromford Canal with limestone quarries at Crich. 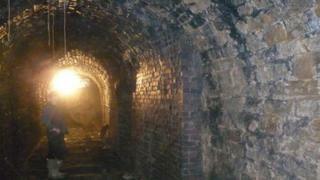 A £17,900 Heritage Lottery-funded investigation found parts of the tunnel are as old as the line. The line closed in 1933 and the tunnel was sealed up in the 1980s. 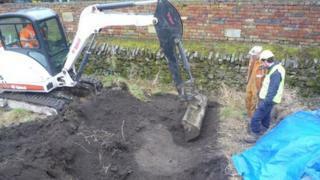 Trevor Griffin, who is project managing the work for the Derbyshire Archaeological Society, said he thought the tunnel could be older than the one regarded as the world's first - which is also in Derbyshire. He said: "The tunnel that was currently generally considered to be the world's oldest was on the Peak Forest Tramway and was built in 1795. "There are a couple of tunnels in the North East with claims to be older but one of those no longer exists and the age of the other can't be proved." The two-year project began in January. The society worked with Wessex Archaeology to reopen the tunnel and made a three-dimensional computer model of the interior using laser scanning. Written evidence suggested the railway was operating by 1793 and Mr Griffin says they were able to prove the line must have run through the tunnel. The Butterley Gangroad, which was engineered by Benjamin Outram, was modernised in the 1840s and turned into a narrow gauge railway. Mr Griffin added: "Its other claim to fame is that 200 years ago, in November 1813, a Scottish engineer named William Brunton tried out a locomotive here which was built at the Butterley works in Ripley. "It was the first steam locomotive to operate in the East Midlands. The locomotive was rather peculiar in that it pushed itself along with two mechanical legs that looked rather like ski sticks." A larger version of the locomotive, named The Mechanical Traveller, operated in the North East. This larger version killed 13 people when its boiler exploded in 1815 in the first recorded railway accident. 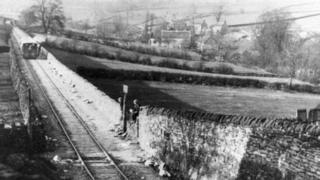 The Butterley line continued to be used by steam engines until 1933. The tunnel was used as an air raid shelter during World War II. 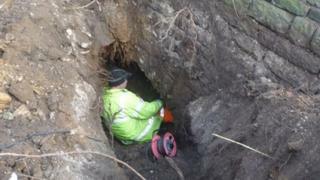 The society was approached by the current landowners to investigate the tunnel. When the work is completed, Mr Griffin said the tunnel would be sealed up again to preserve it.